Here we have a piece of pure American punk goodness. 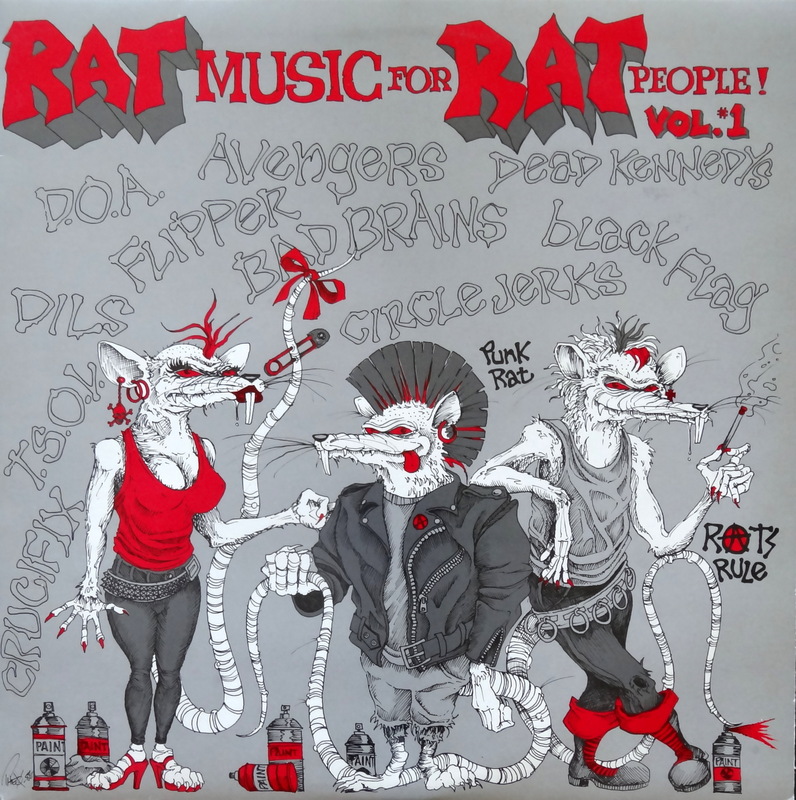 Rat Music For Rat People, Vol. 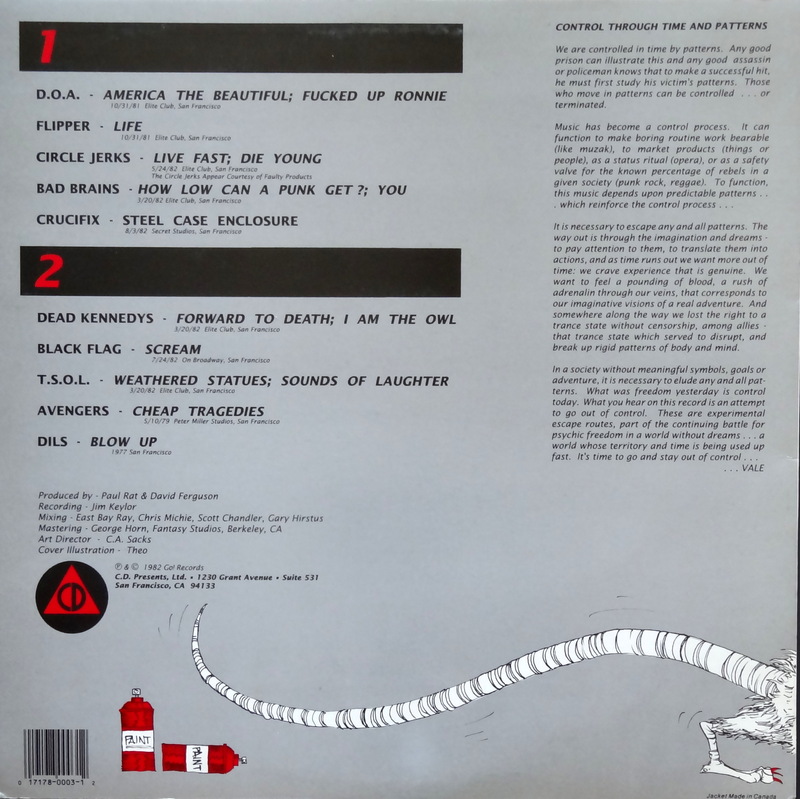 1 is a 1982 release on the Go! Records label. The record is a compilation of live performances in San Francisco between 1977 and 1982. All the big names from the scene are here: The Dead Kennedys, Black Flag, Circle Jerks, Bad Brains, Flipper, T.S.O.L., the Dils. These aren’t essential recordings, but they’re interesting, and Rat Music is a great historical record of a time and place. 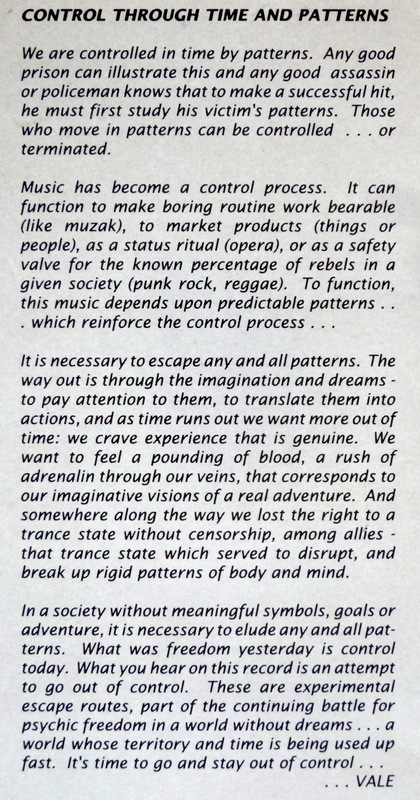 As if the music and that lowbrow album cover weren’t enough, the slightly lunatic liner notes were written by V. Vale, publisher of perhaps the all-time greatest punk zine, Search and Destroy. I have a complete set of Search and Destroy hiding somewhere in my stacks. One of these days I’ll dig them out for their own “From the Stacks” feature. You can expect to pay in the $10-$20 range for Rat Music, maybe a bit more if you find a copy on colored vinyl. Happy hunting. On Diffuser: My Vote For ‘Next Big Thing’? Son Little.